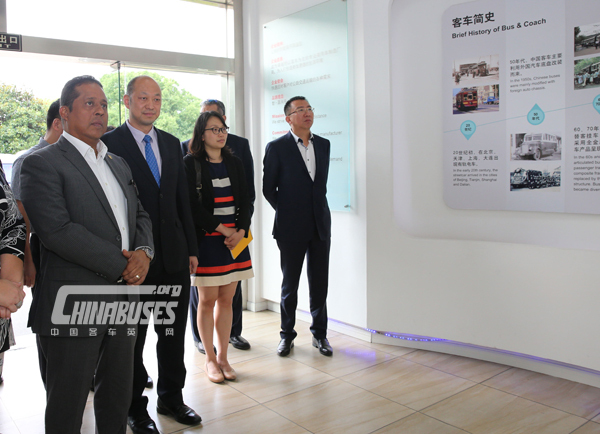 On May 24, accompanied by Xu Lulu, Chief at the Foreign Affairs Office of Jiangsu Provincial People's Government; Chen Xinggong, Chief at the Foreign Affairs Office of Suzhou Municipal Government and other officials, a delegation led by Rafael Pino Pinto, Governor of the Province of Panama visited HIGER, receiving warm reception from Jiang Haifeng, Deputy Director of HIGER Overseas Sales Company. 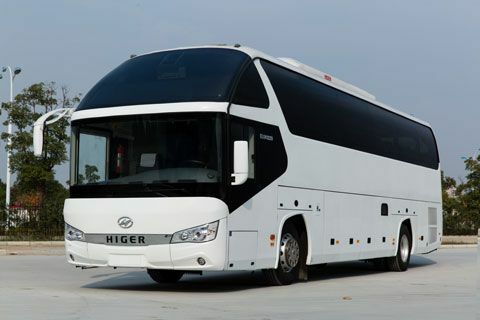 Pinto visited HIGER's showroom, learned about its history, technical advantage and overseas sales. 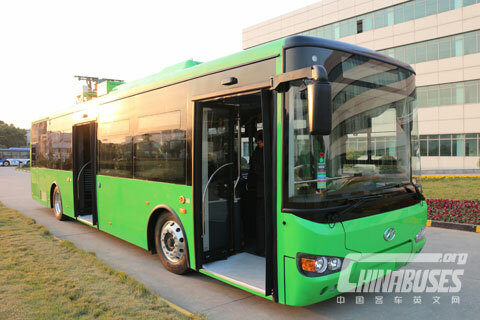 Meanwhile, Pinto got on board a 9.6m low-entry CNG bus bound for Mexico. 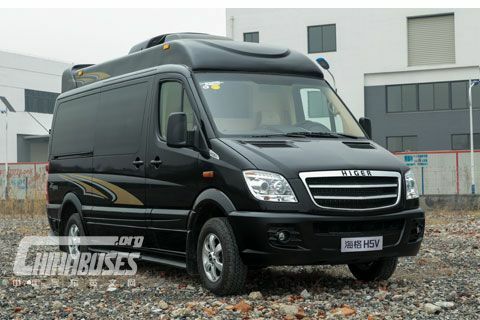 Pinto marveled at HIGER's manufacturing scale and customization capacity. 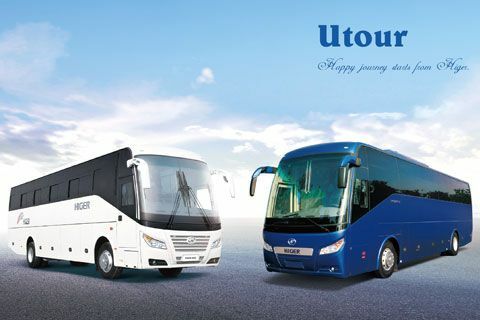 With the rapid growth of Panama's economy, Panama's demand for tour buses will grow substantially and the perfection of Panama's public transport system is inseparable from bus upgrading, said him. 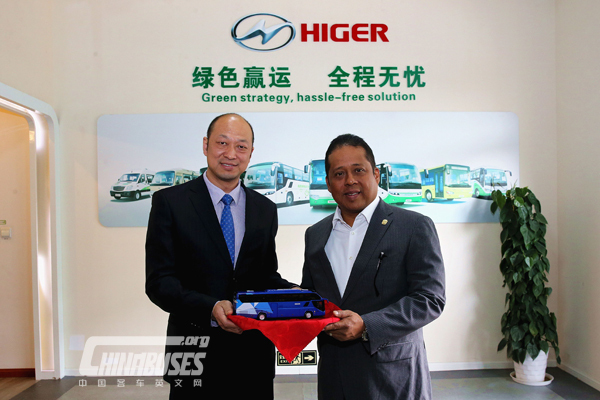 Jiang presented a HIGER bus model to Pinto, saying that HIGER is willing to cooperate with the Province of Panama in transportation under the cooperation strategy mapped out by leaders of both nations. Since the establishment of the diplomatic ties between China and Panama in June 2017, leaders of both nations have comprehensively planned for the development of China-Panama relations. The Province of Panama is one of the 10 provinces of the Republic of Panama. The provincial capital Panama City is the capital of Panama and a world-renowned financial center. Canal shipping, tourism and services are the province's pillar industries. With a free trade zone and a special economic zone, the province has maintained rapid economic growth for many years. Pinto, currently Vice Chairman of the People's Party of Panama, is the first Panamanian local leader visiting China after the establishment of China-Panama diplomatic ties.